Let’s talk the truth: SEO is a complex field. And even if you are an expert and understand its concept, ranking on page 1 in search engine result page (SERP) for specific keywords is never an easy task. This is where SEO tools come to help. In our post today, we have created a list of 10 SEO tools that can help propel you to page one of SERPs for the specific keywords you are targeting. They may not be the basic or free SEO tools you need, but they will improve the overall SEO of your pages and website. You don’t need to use all of them; just figure out which SEO tools work best for your website needs. Keyword research is one of the important aspects of SEO. It is therefore crucial that you spend time creating content for specific keywords that your pages and website have realistic probabilities of ranking on page 1 of google search results. For most small business owners who are starting out or new bloggers, this means you need to find long tail keywords. These are specific keywords that do not have a high search volume but have a higher conversion rate. If you are looking something more Professional than Google’s Keyword Planner research tools, please keep reading! One of the best tools for this job is the KWFinder, a cloud-based keyword research tool that will help you generate long tail keywords that suit your specific niche. With KWFinder, you only need to type in a seed keyword in the search box (like google search box), and this tool will suggest up to 700 keyword ideas you can use. KWFinder is used by many SEO experts and is a reputable tool in the SEO community since its inception in 2014. If you have never worked with KWFinder tool before, we would recommend that you sign up for the free version which has a limit of 5 searches a day. The free version returns 50 keyword suggestions per search. It has three pricing plans including Mangools Basic – $29.90/month, Mangools Premium – $39.90/month, and Mangools Agency – $79.90/month. Therefore, you can choose a plan that suits your needs. If you are a blogger or solopreneur, the basic package should be more than enough for your needs. 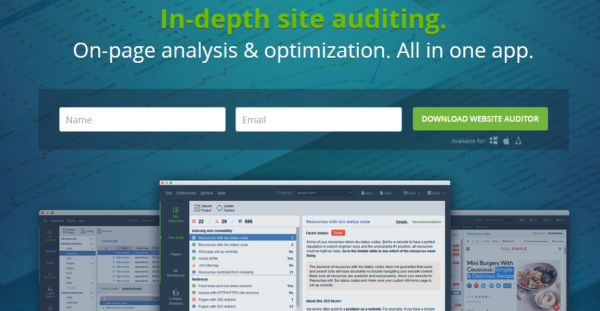 Website Auditor crawls your entire site to find and analyze every resource including CSS, HTML, Flash, videos, images, and more. You will know if there is a problem on your site and how it can be fixed. This is way more advanced than Google search console. This software will reveal all the issues on your site that are preventing you from ranking on page 1 and affecting your pages indexation. It will reveal issues such as duplicate content, broken links, images that have not been optimized, redirect chains, poor mobile usability, heavy scripts and pages, thin content, W3C validation errors, and much more. You will know the list of pages each issue is affecting and how to fix it. 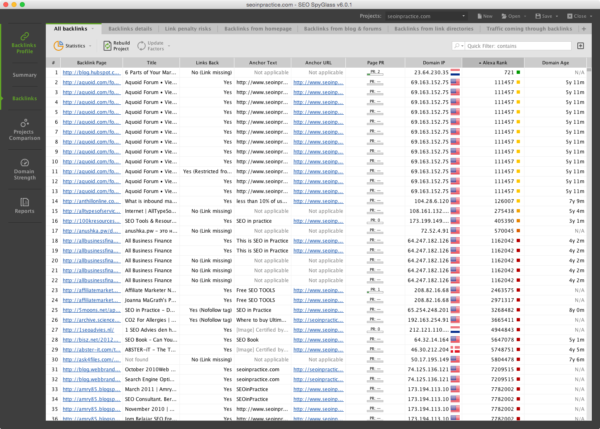 Website Auditor helps generate robots.txt or XML sitemap easily, without worrying about syntax errors. And if you already have robots and sitemaps in place, this tool will review and edit them whenever necessary. This tool helps measure search engine optimization rates for each page and keywords as compared to those of competitors that have ranked high. It can also help you reverse-engineer your top-ranking competitor’s strategies. This software will not only help you find technical issues on your website, but will also help you find pages with redirect issues, crawl issues, broken links, and much more. You can find many free seo tools for Auditing a website but the results you get are not reliable and many times may cause more trouble than you think. One of the most fundamental SEO tools you should not lack is Rank Tracker. This tool helps you check if the effort you have been investing in your site is yielding fruits. Rank Tracker scrolls through search results and fresh data on the web to know how your site compares to competitor sites. It will highlight some of the areas that need improvement. This SEO tool can track rankings based on your specific location and search engine. The tool also helps you track your video rankings on YouTube. You can also track your rankings from Yahoo ph. Or from Google.com.ph, or from Bing ph. This tool will also come in handy when you are tracking localized keywords. Rank Tracker can show you the specific page on your website that ranks for certain keywords. This will give you an idea of which pages you need to focus most of your efforts on. 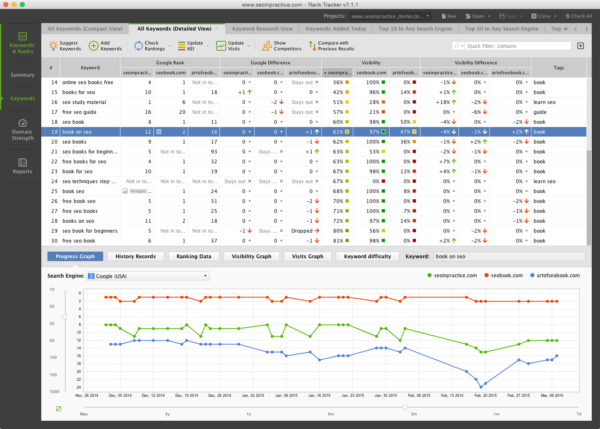 This tool can help you see how your SEO efforts have impacted your ranking over the months. It can also show how your ranking has been fairing against your competitors. This is displayed to you in the form of a line graph. You can put in any number of keywords you want; there is no limit to the number of keywords one can track. This means you can track each and every keyword on your site. This will help you know which keywords are performing better than others so that you can know where to direct most of your effort to. This is a tool worth having if you are serious with your SEO. It will not only help to track where your site ranks but also improve your site ranking by showing you the strengths of your competitors. You can come up with a strategy to counter them. Spying is a common thing in SEO. Marketers love to spy on their competitors to see their winning tactics. The aim is to decode their winning formula so that they can duplicate the same to their website. However, the downside to this method is that it is not possible to duplicate a backlink profile, even if you have all their link data. This is because you cannot obtain some of the links they have used no matter how hard you beg. That’s why you should try to build quality backlinks that your competitor cannot easily duplicate. However, it is okay to replicate a good part of your competitor’s backlink profile. When spying their site’s link profile, identify the most valuable links and those you have a better chance of acquiring. After that, try layering them into your backlink strategy, and you will find your site competing favorably to theirs or even outranking your target site in ranking. One of the best tools for spying job is SEO Spyglass. This is the link detective’s tool. The more quality backlinks you get, the higher your site will rank. SEO Spyglass aim to provide you with best link intelligence to help you win the battle of ranking in SERPS. 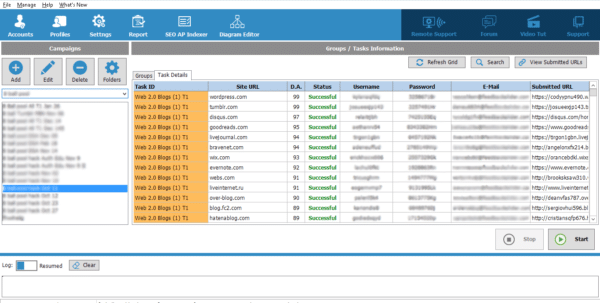 There are tons of additional analyses information that this tool will help you extract including domain age, IP block date, trusted directory presence, incoming and outgoing link-to-link targets, and much more. LinkAssistant is a great SEO tool that will help you find relevant link opportunities. You can find who links to niche competitors or top ranking websites. This tool is easy to use. With a few clicks, Link Assistant will help you find tens or hundreds of most relevant links for you. This SEO tool is a huge time-saver for any online marketer. Link Assistant ensures you don’t waste your energy in using bad links. It gathers all the stats and insights you need to know about the potential of links. It will show you Page/Domain authority, Alexa, domain age, social media metrics and much more so you can know the quality of a link. You can get emails of prospects and contact them straightway right from the software’s dashboard. You can use the built-in templates to formulate your emails easily or even create one from scratch. It also has an option for you to flag important emails so you can follow up. 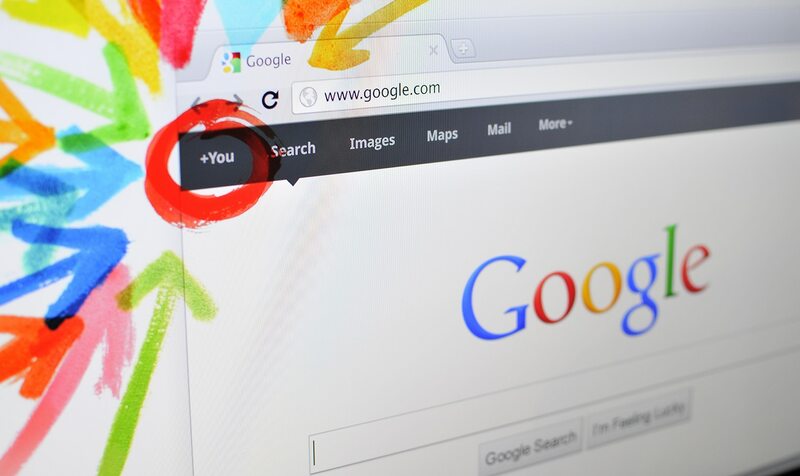 You can regularly check your acquired links to make sure they are quality and don’t get taken down. You can also contact link owner’s right from the app if their link fails to get verified. One can also switch links to no-follow with one-click. Link Assistant is a great tool to have if you are looking for an easier way to build your backlink profile. In the past, marketers used to do all the tedious routine SEO tasks manually. However, over the years, things have changed, and people are moving towards automation, and SEO is no exception. There have emerged different tools designed to automate different SEO processes. In a market full of different SEO automation tools, it might be hard to know the best one. However, one software has remained reputable and is gaining massive popularity in the recent past. It is called SEO Autopilot Software. This software enables you to automate most of the tedious daily SEO tasks. You can schedule or set them to be conducted at given times, all on autopilot. SEO Autopilot Software is an advanced link building software that uses cutting-edge technology to create high-quality backlinks complete on autopilot. Why is SEO Autopilot Software the best in the market at the moment? This software will help your site pages easily rank on page 1 of SERPs for specific keyword completely on autopilot. This is one of the most advanced SEO software you will currently find on the market. Besides, it is 100% safe to use as it uses custom-coded algorithms that leave no footprints. Most important is that the backlinks you create using SEO AP are visible on Google Search Console! Although this SEO tool uses sophisticated and advanced custom coding, it has a user-friendly interface that you will find easy to interact with. You don’t have to possess advanced technical skills to use this software as it was created for both newbies and seasoned marketers in mind. In addition, it comes with lots of other free seo tools like spinners, article builders etc. This autopilot software will only link your pages with highest quality backlinks from websites with high domain authority. This explains why people who have used this autopilot SEO tool have attested to getting super-fast rankings. You can use one of their inbuilt linking diagrams to create a powerful backlink profile. In addition to helping you build a powerful backlink profile with high-quality links, this software helps you get links from diverse sources. This is a tool you cannot afford to miss in your SEO arsenal. It will not only save you a lot of time but also ensure your site ranks on page 1 of SERPs through safe methods. An SEO campaign can never be complete without having social media profiles. Most of the times it can be hard to manage all of your website’s profiles on different platforms. That’s why you need a social media management software. Well, Jarvee stands out from the rest. In simple terms, Jarvee is a social media management software that allows entrepreneurs and marketers share their content across different social media platforms including Twitter, Facebook, LinkedIn, Tumblr, Google Plus, and Pinterest. 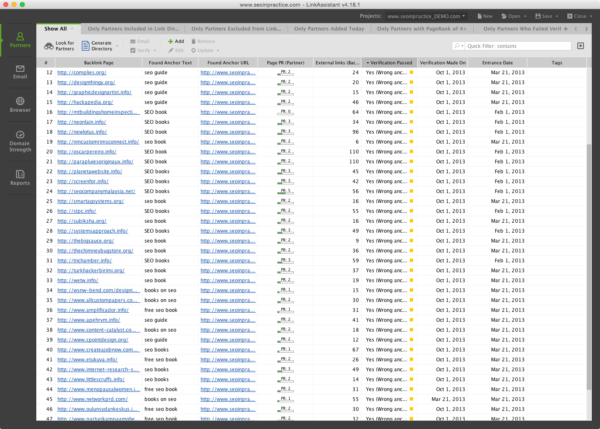 You can manage all these from one dashboard that is very user-friendly. This software will help you reach out to your audience faster than it would have been if you did it manually. Why does Jarvee stand out from the rest? This means that you can use this software to manage your profiles across all the social platforms you are using. Thus, it can meet all your personal preferences. There is no limitation when you use Jarvee as it works on any device and can run different accounts. This will help create high levels of engagement with your audience on different platforms. This makes it a tool of great value as it saves you from using individual tools for each platform. This is the go-to software if you are looking for a software to manage your social assets. Your website load speed is one of the most important aspects you should consider when you are looking to improve your site ranking. Unfortunately, most people neglect it when conducting site improvement. If you are experiencing high bounce rate, you should check your pages load speed to see if this is caused by slow load speed. One of the best and most accurate websites speed checker is GTMetrix and it is a free SEO tool. 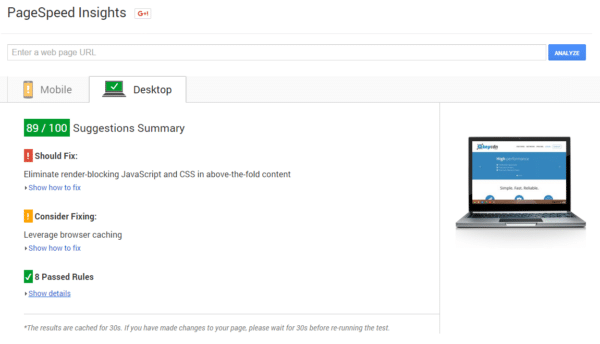 This is a web software offering a suite of tools that help you optimize your website pages. Simply put, Google PageSpeed is a Google’s free seo tools that analyzes and evaluates the performance of a website for both mobile devices and desktop. You will get a score ranging from 0-100%. If your website has a score of more than 85%, then it is a sign that it’s performing well. It also measures the performance of a full page and above-the-fold. YSlow refers to a Yahoo’s open source tool that evaluates and offers an explanation as to why a page is loading slowly (YSlow- why slow). You are provided with a numerical score that you compare to the checklist of suggestion provided. Well, we are almost coming to the end of our guide. However, of all the tools we have talked about here, one that has stood out and will help you propel and keep you on page 1 of SERPs is the SEO Autopilot Software. It is true that without a good backlink profile, your SEO efforts will not bear enough fruits. You need quality backlinks to outrank your competitors. Building a good backlink profile should be an important part of your digital marketing strategy, and one tool that will help you with that is SEO Autopilot Software. Therefore, ensure you have this tool in your SEO arsenal, in addition to any other you will find helpful.